Getting around South Africa can hurt the average pocket because of the sheer size of the country. Thankfully we have some very good offerings in terms of flying with cheap flights SA, and because of this we are able to find cheap flights which often compete very well against the alternative, driving to our destinations. The days of waiting for office hours to book a flight is over. South Africans are taking charge of their travel arrangements, and the power is now in your hands. Thanks to the increasing availability of cheap flights, more South Africans than ever are able to access affordable air travel. At Domestic Flights South Africa, we developed a user-friendly online platform to allow any South African to search for, book and confirm cheap flights any time of the day or night. The ability to compare flights instantly will afford you the opportunity to get the cheapest flights guaranteed. South African airways are dominated by five major airlines namely: Kulula Airlines, Mango Airlines, South African Airways, British Airways and more recently Flysafair. Of these 5 airlines Mango, Flysafair and Kulula are the most competitive and offer the cheapest flights on a month to month basis. Cheap flights Mango are known for their killer Mango Specials and Kulula often offer superb cheap flight specials of their own. 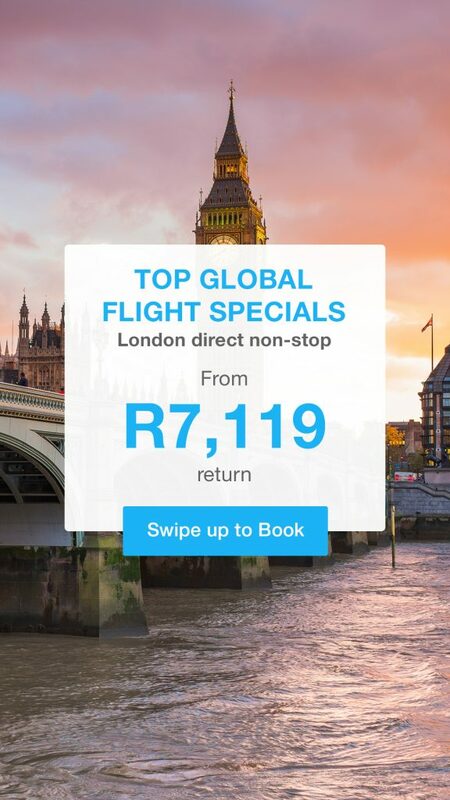 Flysafair often offer the cheapest flights but, bear in mind that they do charge extra for baggage. The South African consumer has been very lucky in recent years as at one stage there was only a single airline available to fly locally. South African airways dominated the skies and pricing for many years. Since the lifting of apartheid, we have seen most of the domestic carriers come into the market which we are familiar with. This has brought down the cost of flying considerably and now we can enjoy short travel periods and have access to many parts of South Africa as well as the rest of the world. We scan millions of flights during the year to find you cheap flights daily. We have listed in the table below, some of the cheapest domestic and international flights available to and from South Africa. We have worked hard to provide an innovative and easily accessible online platform to the airline industry, making it possible for South Africans from all walks of life to access and benefit from affordable flights. We aim to bring all the best airline ticket prices together in one place. Access all the information you need to make an informed purchasing decision in one convenient place. Our online booking facility is simple, fast and guaranteed to provide you with the cheapest flights available for your chosen routes. Whether you are looking for cheap domestic flights or cheap flights international they are all available right here. We are proud of our online booking portal, and continually look toward our customers to tailor it to the perfect user experience. The aim of this site is to bring all of the Airlines ticket prices together in a simple, convenient central location to save you valuable time, which you would normally spend searching each individual airline to find the best deals. Our cheap flights SA tickets booking facility is simple and fast and guaranteed to put a smile on your face. It’s fun In a few seconds you will be booking the cheapest flight to your destination. South African Airports are governed by the Airports Company Of South Africa. They govern the 9 airports which we have in South Africa namely: O.R.Tambo, Cape Town International, King Shaka International, Bloemfontein Airport, Port Elizabeth Airport, Upington Aiport, East London Airport and Kimberly Airport. The 2 major low cost airlines, Kulula and fly Mango to most of these airports on a daily basis with the other 2 local airlines flying to more major routes such as Johannesburg and Cape Town. Wherever you are going you can be assured that there is a flight and you will find cheap flights right here with us. At Domestic Flights South Africa, we work with all major airlines and domestic carriers in South Africa, servicing each of these routes. Wherever you are going, we’ll help you to get there and back again safely, comfortably and on time. Book cheap flights today and save money, time and energy taking care of your travel arrangements.